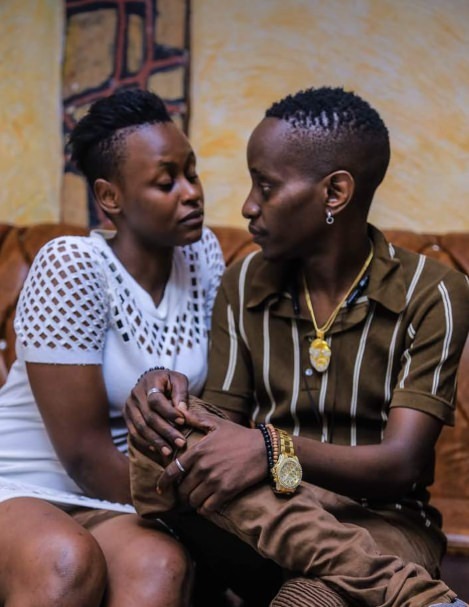 Renowned TV presenter, Mc Kats and his baby mama, singer Fille Mutoni are one rare couple. They both publically flirt with other people, but it doesn’t break their love relationship. Fille was recently pictured receiving a dab from attention seeker, Bryan White at one of the weekly Comedy shows in town. MC Kats was pictured almost intimate with a mystery girl who was dressed in seductive outfits at Wave Lounge. She was dressed in a low-cut white dress exposing her luscious thighs. Kats appeared to be salivating, while the girl was downright horny.